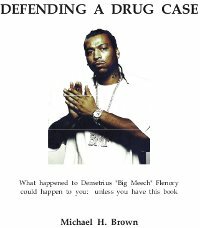 Don’t let what happened to Demetrius “Big Meech” Flenory happen to you. The first thing most people do when busted for a criminal case is panic and go looking for a lawyer. The problem is… how can you tell the difference between a lawyer who will do the work to defend you and the one who will sell you out? Defending A Drug Case will show you how to tell the difference. Do you know how to “lay the pipe” for an appeal? Juries are unpredictable in some cases, and that’s if you’re lucky. If you think that the prosecutor’s job is to, “See that justice is done,” guess again. If you think the judge is there to see that you get a fair trial, you might have an insanity defense. This book will show you how to cope. 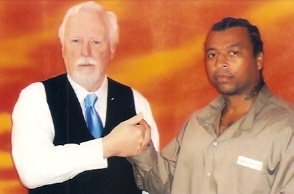 Do you know how to go “outside of the legal system” – legally – in order to get out of prison – legally? This book will show you a method that – almost always – works. Read Defending a Drug Case before you hire an attorney. Foreword by Big Meech -- read here! This book may be the key to unlocking the situation you find yourself in. However, it isn’t going to do you much good unless you read and apply what its pages contain. You have to use the book. The first chapter explains what you are up against. You may not understand how to read the statutes (laws) and case citations. That’s what the second chapter teaches you. The best way to start is to read the first chapter then read the second chapter. Then go back and read the first chapter again. You should notice how quickly you have “come up to speed” in understanding the “legal indexing system,” or how quickly you have developed the ability to “read law.” Once you have mastered the first two chapters, start at chapter 3. It’s kind of a monster, though it is not an unmanageable monster. 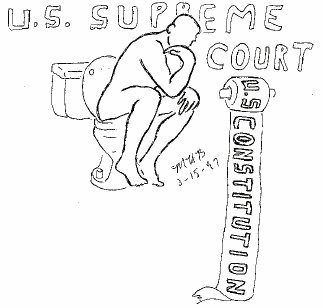 By the time you are done with chapter 3, you should realize how almost totally useless and oppressive the criminal courts have become. It has been said that you can’t have a problem without a solution. After chapter 3 you will start learning who is causing the problems and how we can solve them. Just keep one thing in mind: if you don’t fight, you can’t win. CHAPTER 4: WHAT ARE THE REAL REASONS OUR COURTS DON’T WORK? CHAPTER 7: WHERE DO WE GO FROM HERE?